When you imagine the sounds of an office, which ones come to mind first? A printer printing, phones ringing, people chatting, keyboards clicking, email inboxes dinging? I doubt that you would tell me a baby crying or a dog barking are on your list. However, those are the sounds (among many others) that I hear in my office every day. My office is a home office. It's loud and crazy, but I wouldn't have it any other way. I like to consider myself a “Work-at-Home Mom” (WAHM) even though I am just starting out in the work-at-home field. You see, I was laid off from my cushy sales job in January of 2009 and found out I was pregnant five days later. A pleasant surprise? Yes. Bad timing? Absolutely. 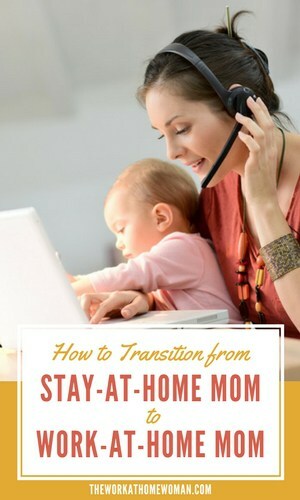 I never thought I would be a Stay-at-Home Mom (SAHM). I have my MBA and a Bachelor's Degree in Marketing and I always dreamed of being the female executive, “Dancin' Backwards in High Heels” as Kenny Chesney so eloquently put it in his popular song. I wanted to be someone's boss. I wanted to feel important and give assignments and projects and set deadlines. Little did I know that my importance would be measured in an entirely different way, by the abundance of my daughters' smiles. There is not a job on earth that would make me want to be away from her for one second of the day. This is why I turned to the Internet to find something, anything that would allow me to be at home and still bring in an income. I started a blog when my daughter was born and wrote in it sporadically when I had time. At the beginning of December of 2009, I started writing in this blog more frequently and found out how to add sponsors to it. I added Google Adsense and I joined Amazon Affiliates, where I make an income from click-throughs and products purchased through my affiliate links off of Amazon. I also joined PepperJam Network, which is an awesome affiliate program with advertisers like Mattel and Sears. After I figured out how to make an income from my blog, I branched out and looked for other things I could do. My blog isn't big enough yet to really make any kind of dent in my bills, so I turned to my online community of moms for advice. I asked them what they did to work-from-home and I researched the opportunities they told me about. I found Hire My Mom by mistake, a fellow mom posted on the message board I frequent asking if anyone had heard of it and if it was legitimate. I did a little bit of research on my own and found out that it was indeed a legitimate site for work-from-home jobs. It does cost money to join this site, but the subscription has already paid off for me, as I landed a great, commission-based work-from-home (on your own time!) job. I also posted my resume on Upwork although they require their members to take a quiz about their site rules before joining and their site navigation is a little complex. I haven't gotten any hits on my resume from Upwork yet, but I also haven't tried too hard. Eventually what I would like to do is build my blog up so that it generates a nice revenue stream from advertising and then start my own website to help moms like me save money. I have already bought my domain name, it's just a matter of getting the website designed and set up. My best advice from the little experience I have so far is to multi-task. Find multiple things you can do each day to generate revenue. Sell something on eBay, find a new advertiser, find a way to make money from the things you already do online every day. I get up every morning and think of things I am going to try and do that day to earn an income. My number one job is being a Mom, my number two job is being a Mompreneur. My adventure into working from home has yet to unfold in its entirety. I am learning and growing every single day. I keep in touch with other Mompreneurs on Twitter and try to keep up a good repertoire with other bloggers. I never thought this was what I would be doing at this point in my life, but I am loving every minute of it and wouldn't have it any other way. Alissa Hartzler is one motivated Momma! She stays at home with her daughter (born September 10, 2009) and spends nap-times and tummy time online trying to find ways to make an income using the Internet. She is constantly blogging, tweeting, networking, sending out resumes all while trying to balance home and family life. You can learn more about Alissa at her blog, Molly & Mommy. Thank you for sharing! Similar to my circumstances. Good Luck! Glad you enjoyed the article, Deana! This sounds just like me!!! I’m a full timer. I’ve worked for all sorts of corporations – Seagate, Hyatt, even Stanford University! And I just want to stay home with my kids (expecting my first in Sept. 2010). I”m trying to find ways to make that work NOW so that I’m already doing it when the baby comes. It is so hard to find ligit work-from-home sites that aren’t scams. I blog, and I sell on Esty. I’m a super hard worker and am willing to go the distance to make this work – but living in SoCal, it’s gotta work for me, too! Here’s to hoping! And thanks for the info. I’ll definitely be looking into those places you recommended. I totally relate to you wanting to be someone else’s boss and wanting to feel important. I too have both a Master and Bachelor’s Degree and found myself being a stay at home mom for over a year. When I was in university, I had high ambitions and told everyone I could never be a stay at home mom. Sometimes we just don’t have control over our futures. I am grateful for being able to spend so much time with my baby but at the same time, I was kind of going nuts :) I kept wanting to work and sometimes that got in the way of me really enjoying time with my baby. I am lucky in that I have a contract job where I can work on my own time. Now, things have all changed since he is going to daycare and I get to do more contract job and work for myself from home. I am here when he is sick from daycare and I can drop him off and pick him up whenever I like too. I find myself slowly getting my sanely back :) I also feel better knowing he is in good hands while I work part time and take better care of the house and family. Thanks for sharing and good luck! Congrats Alissa – finding balance between home & work life is difficult, & I am so happy for Mom’s who work hard to make it happen. I stayed at home for 5 years & now back in the corp world, with a great company who offers me a rewarding work environment & nice flexibly. Cheers to all the Mom’s – who work so tirelessly.